USAID Says Building Of 'Cuban Twitter' Was Part Of Public Record : The Two-Way Congress, the development agency says, specifically earmarked money for a program to break the "information blockade" in Cuba. 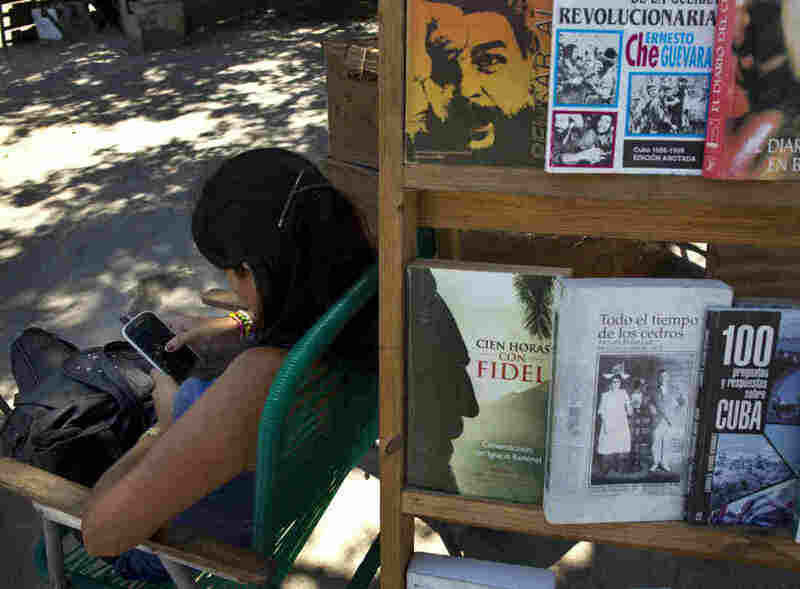 The United States Agency for International Development came out swinging today against an Associated Press report that said the agency used public funds to build a social media platform designed to undermine the Cuban government. In a blog post, USAID says the wire agency "falsely characterized" the program. USAID says ZunZuneo, which the AP dubbed the "Cuban Twitter," was not a covert program, it was not designed to overthrow the Communist regime on the island and it was paid for with publicly earmarked money. "USAID works in places where we are not always welcome. To minimize the risk to our staff and partners and ensure our work can proceed safely, we must take certain precautions and maintain a discreet profile. But discreet does not equal covert. "The programs have long been the subject of Congressional notifications, unclassified briefings, public budget requests, and public hearings. All of the Congressional Budget Justifications published from 2008 through 2013, which are public and online, explicitly state that a key goal of USAID's Cuba program is to break the 'information blockade' or promote 'information sharing' amongst Cubans and that assistance will include the use or promotion of new 'technologies' and/or 'new media' to achieve its goals." As we reported, the White House had denied the program was covert, but it did not go into the detail that USAID goes into. USAID goes on to say that a memo that talked about the creation of "smart mobs," "had nothing to do with Cuba nor ZunZuneo." "The documents do not represent the U.S. government's position or reflect the spirit or actions taken as part of the program in Cuba," USAID writes. "The project initially sent news, sports scores, weather, and trivia. After which, the grantee did not direct content because users were generating it on their own."